Emedinews, is organizing a medical update on Sunday 10th January, 2010 at Maulana Azad Medical College Auditorium. To be attended by over 1200 doctors from across the city, the conference will cover all new advances in medicine in the year 2009. Updates will be available on emedinews later. Giving the details Dr. K K Aggarwal, President Heart Care Foundation of India and Editor, Emedinews and Dr Anupam Sibal Group Medical Director Apollo Hospitals said that the country has faced many challenges in the year 2009, important ones being the H1N1 pandemic and the new version of Dengue Hemorrhagic Fever. H1Ni came like havoc but fortunately was found to be a less virulent version of normal seasonal human flu. Similarly the dengue new version was less virulent but with more liver involvement. Fatty liver or Non Alcoholic Fatty Liver disease is another new epidemic of the society and will be a special challenge in the years to come. The disease presents with asymptomatic rise in liver enzymes, pot belly obesity and fatty liver. Clinically, it mimics alcoholic liver damage. If not treated in time, it can end up in chronic permanent liver damage. The disease is totally preventable with lifestyle management. The year also saw a decade of successful liver transplants in the country with Apollo Hospitals emerging as the first one having completed ten years. Other new epidemics of the society are normal weight obesity, diabetes, younger heart disease, atrial fibrillation and poly cystic ovarian disease. Conference webcast For the first time there will be a live webcast of the conference on www.docconnect.com or www.emedinews.org. People from all over the world would be able to see the conference live on the web. Noted singer VIPIN ANEJA said that the key to successful health lies in enjoying life with relaxation. Dr Sadhvi Sadhna Ji Mahraj Chairperson World Fellowship of Religions while addressing the press said that making doctors and people aware about health is the only way for creating a disease free healthy society. Sh. P K Anand ED Punjab and Sind Bank said that financial health is now an integral pert of medical teaching. The conference will have eminent speakers like Dr KK Aggarwal, Dr. Naresh Trehan, Dr. Praveen Chandra, Dr. Ajay Kumar, Dr. Roshni Handa, Dr Anupam Sibal, Dr. N. Subramaniam, Dr. Kaveri Banerjee, Dr. Ajit Saxena, Dr. Vanita Arora, Dr. P.K. Julka, Dr. Vinit Suri, Dr Neelam Mohan, Dr S C tewari, B S Ratnakar, Anshu Gupta, DrAmbrish Mithal, Dr harish Parashar, Dr N K Bhatia, Dr Sanjay Chaudhary, Dr Ajay Kriplani, Dr V Raina, and many others. The conference, apart from having scientific bonanza, will also have a cultural hungama with live performances by Shibani Kashyap, Vipin Aneja. For the first time, eminent medical professional singers will also give live performances. A few of them are Dr. Praveen Khillani, Dr. N. Subramaniam, Dr. Arti. Pathak, Dr. Lalita Subramaniam, Dr. Sanjay Chugh, Dr Harjeet kaur, Dr Ramani Narsimhan, Dr Yash Gulati, Dr Sudipto Pakrai, Dr Reshma Aggarwal. Emedinews doctor of the year award will be given to eminent doctors. Dr S Y Qureshi Election Commissioner will be the Chief Guest. Dr A K Aggarwal President DMC will be the guest of honour. DocConnect, a community portal exclusively for medical professionals. DocConnect offers a host of exciting and interactive features allowing the doctors to network with their peers, share knowledge and experiences and also connect with their patients. DocConnect offers advanced tools for Clinic management and with this interactive portal, Doctors can stay connected with each other and with their patient community at large. DocConnect also provides the members 'Customized Personal Web pages' which highlight the Doctor's experience, his practice information and also enables online appointment requests for the patients. HealthHiway� (www.healthhiway.com) is the services infrastructure for the healthcare ecosystem to facilitate better collaboration and seamless information sharing between Providers, Insurance companies, Doctor Practices and other service organizations, for safer and enhanced patient care. 2.Gout and Metabolic Disease Go Hand in Hand: Gout and hyperuricemia may represent another facet of metabolic syndrome. They are closely tied to obesity, high cholesterol, and type 2 diabetes. Elevated serum urate in young adulthood appears to predict metabolic diseases later on. Early metabolic abnormalities are a risk factor for gout in later life. One study, suggested that the risk for gout can be modified by targeting metabolic risk factors for intervention. 3. Hyperuricemia predicts type 2 diabetes: In a prospective cohort study of some 5,000 young adults, those with serum urate levels of 7.0 mg/dL or higher were twice as likely to develop type 2 diabetes during 15 years of follow-up (Dr Eswar Krishnan, MD, of Stanford University in Stanford, Calif).This increase in risk applied even in individuals who did not have metabolic syndrome during baseline evaluations, conducted when the participants were 18 to 30 years old. Compared with individuals with serum urate below 5.0 mg/dL, those with levels of 7.0 mg/dL and higher at baseline, but not metabolic syndrome, had an adjusted relative risk of 1.99 for developing type 2 diabetes.Each 1 mg/dL increase in serum urate increased the odds of developing diabetes overall by 18%. In those without metabolic syndrome at baseline, the incremental risk increase was 22%. These figures reflected adjustments for numerous risk factors for diabetes: age, gender, ethnicity, body mass index, systolic blood pressure, smoking, fasting blood glucose, family history of diabetes, and baseline physical activity level. 4. High cholesterol in youth, later gout: A doubling of risk was also found in the opposite direction, young men with high total cholesterol had about twice the incidence of gout before reaching age 60 relative to those with normal or low cholesterol when they were young (Dr Allan C. Gelber, of Johns Hopkins University). After adjusting for hypertension and weight at baseline, total cholesterol levels higher than 217 mg/dL in a cohort of first-year medical students were associated with a relative risk of 2.2 for developing gout before age 60. 5. Risk factors for gout in women: The prevalence of gout in women has doubled in recent years. Whether the risk factors in women are the same as for men is largely unknown (Dr Vidula Bhole, of the Arthritis Research Centre of Canada in Vancouver). She reported a study, based on Framingham Heart Study data, showing that, in fact, the risk factors are largely the same.On the other hand, the most prominent known risk factor, baseline levels of serum urate, appeared to be a weaker predictor of gout in women than in men. Finance Tip: What is 100% specific trust for a girl child? One can make a family Trust which can be 100% specific for a girl child, boy child, minor child, etc. The same needs to be registered. The daughter beneficiary family trust can be controlled by the parents till the daughter is worldly matured, which usually happens after 5-10 years of marriage. By this all the money given to the girl at the time of marriage can be kept out of control of the husband or in laws atleast for a few years. Dr Good: Very good, results. Lesson: Changes in body fat, i.e., reduction in BMI, waist circumference, and visceral fat accumulation, correlate with a rise in serum adiponectin in middle-aged general population. Serum adiponectin has anti-atherosclerotic and anti diabetic properties in experimental studies, and its blood levels are low in obesity, diabetes, cardiovascular diseases, and metabolic syndrome. (Source: Diabetes Care 2009; 32(10):e122). A: keep A1c < 6.5% and C for abdominal Circumference < 32 inches in women and 35 inches in men. Gas producing food: Any eatable item which can be broken into two equal parts like almonds, pulses, rajma, etc. when eaten raw produces gas in the body. They should be taken either after slow boiling, heating or after soaking in water for some hours. BON is a relatively recently described condition. It is defined as a jaw area of exposed necrotic bone that does not heal within a few weeks in a patient taking bisphosphonates, who does not have a history of radiation therapy in the area. Quote: The most critical moment in life is when someone very special hurts you so deeply, causes tears in your eyes and asks what happened and you just reply NOTHING. Clinical Tip: Type 2 Diabetes: In asymptomatic, undiagnosed individuals, testing for diabetes should be considered in all individuals at age 45 years and above and, if normal, it should be repeated at three year intervals. IJCP Group, Heart care Foundation of India and World Fellowships of Religions are is organizing emedinews: revisiting 2009, day long conference on the top health happenings in the year 2009 on 10th Jan 2010 at Maulana Azad Auditorium. There is no registration fee. CME will be followed by lively cultural evening guest performances by Shabani Kashyap, Vipin Aneja and perfomances by medical professional singers Dr Praveen Khilnani, Dr Lalita and Dr N Subramanium, Dr Lata Tandon, Dr Arti Pathak, Dr Sudipto Pakrasi, Dr Harjeet Kaur, Dr Ramni Narsimhan, Dr Sanjay Chugh (on the drum), Dr Yash Gulati (Anchor) Dr Reshma Aggarwal (Anchor), doctors of the year award, dance and dinner. We have crossed 1200 registrations. 3. Refresh yourself with mineral water, coke, soda and other drinks from COKE counter. 4. Silicic Acid is available as Sodium Meta Silicate in U.S.A and is being Launched in India During the IJCP Emedinews revisiting 2009 Conference at New Delhi on January 10th,2010. 1. The conference starts at 8am at MAMC. Kindly collect your registration kit before that. The kit has pen, pad, folder, key chain, watch, lunch and dinner coupons. 2. Enjoy the soft drinks at the COKE counter round the clock and tea coffee at the NESTLE counter. 3. There will be no lunch time. Rice Kari, Puri Aloo will be available 9-5pm non stop, eat any time and attend the seminar. 6. We have over booked the registrations. Facility for webcast and plasma TV out side the auditorium will be available. 7. The CME will be accredited for 9 DMC credit hours. 9. Onyx Herbal Pvt. 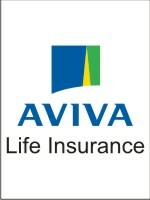 Ltd. in association with Perfect Healthcare Pvt. Ltd. will be launching herbal non ayurvedic drugs for various diseases. Inquinal is being introduced for diabetes, obesity, metabolic syndrome and hyper insulin state. Two oils � Dermitone for general skin diseases and psoraheal for psoriasis will be available for dispensing through doctors. Apart, two herbal Viagra like preparations Vitox 69 and Vitox 99 will also be available. Kindly do not forget to visit the Onyx-Perfect Healthcare stall. 2.40 PM - 3.10 PM Dr Kaberi Banerjee, IVF: Where We Stand Today? 3.25 PM - 3.40 PM Dr Praveen Khilnani, Whats New in Critical Care in Past Decade? 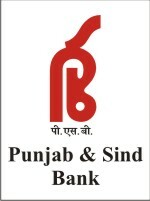 PUNJAB & SIND BANK also has offered special package of loans for Medical Practitioners for their Business, Housing and Vehicle needs on their loan availment up to 31.03.2010. For the first time any bank is offering a loan up to Rs.25 lacs for medical students for doing their Post graduation said Sh P K Anand ED CMD Punjab and Sind Bank. Apart for setting up/acquiring/renovation/ expansion of clinics, hospitals/pathological/clinical labs, scan/diagnostic centres, nursing homes, sanatorium etc. and for purchase of vehicles, ambulances, computers etc the bank is offering no collateral requirement for loan up to Rs.25 lacs, if covered under CGTMSE. The bank is also offering concessional interest rate @ 10.50% up to Rs.25 lacs and @ 11% above Rs.25 lacs & up to Rs.1 crore with no processing fees. Under Housing scheme the bank is offering fixed interest rate for 5 years with no processing fees and prepayment penalty. There will be low margin requirement of 10% up to Rs.5 lacs and 15% above Rs.5 lacs and up to Rs.20 lacs. 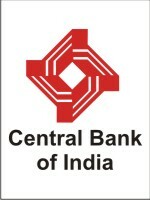 Under Vehicle loan category concessional interest rate @ 10% and 9.50% for collateral linked vehicle loan. Nutritional Health Supplements. Our Need. Nutritious Food is the Key to a Strong Body Immune System as it provides a complete Protection from various Diseases and Opportunistic Infections. All the Vital Ingredients of our diet play a specific role in building up the Body Resistance and providing an effective Immuno Modulation. Since our Diet constitution in the Existing "fast food" world is always Deficient in Essential Vitamins and Minerals, we need a regular Supplementation with quality health Nutrients to compensate for the deficit. A Variety of Health Supplements are now Available in the market today, but It is Important , first to look for the Key Ingredients ,and then know about the Properties and effects of these Ingredients on our body. A Good Nutritional Supplement has to be supported by Various Clinical Studies, and if Possible ,a Double blind Trial study to prove it,s Effects and Side Effects on the Human body.A good Dietary Supplement Compliments our normal food Intake and helps Boost the Body Immune System for Better Health.